Psychology of Wall Colors in a Home. Understanding the psychology of color might be more important to a Real Estate Agent than one would think. There is a science to color psychology and it can help you choose paint colors that create the right mood for a room that will affecting those who enters. Paint color is so powerful that it can influence not just your state of mind, but your psychology as well. Blue usually ranks at the top of favorite colors can actually slow the pulse rate, lower body temperature, and reduce appetite. As far as paint is concerned, the implications are obvious: blue is a terrific color choice for bedrooms, less so for dining rooms. Green similar to blue creating a soothing, calming effect is also is the color of nature representing renewal, youth, and vigor. Because it is calming, green paint is a good color choice for bedrooms, and because it is the color of so many vegetables and other foods, it can work in dining rooms, too. Red speaks energy and excitement, actually raising the blood pressure and making the heart beat a little faster. Because it is aligned with desire and passion, it’s a perfect paint color for dining rooms and adult bedrooms, but wrong for children’s rooms. Yet, ironically, pink – a very light tint of red – is one of the most calming colors, and is a fine choice for a baby’s room. Yellow is a great interior paint color. Like sunshine, it imparts happiness, hope, and optimism. Studies have shown that the brain actually releases more serotonin when the eye takes in yellow which can result in positive psychological vibes. Yellow can even stir our creative juices, what better color to use in a master bath or dinette. Orange is a happy color with little more attention-getting than yellow, orange has an energy and warmth about it but be careful with orange. Muddy shades are useful in many parts of the home, but vivid tones may appear raw and flamboyant. Orange is clearly not the color of calm, so it’s best to bypass it when painting a bedroom or any other area where you want to relax. Purple is a tricky paint color wherever it’s used, but it’s the overwhelming favorite of adolescent girls. Reserve use of this paint color for your daughter’s room to create a win-win situation and purple’s proven ability to stimulate brain activity. Black imparts elegance, formality, and sophistication to a paint color scheme. But don’t get carried away with it. Too much black can be morose and depressing. White conveys peace, simplicity, spaciousness, and cleanliness. It can provide a crisp finish to almost any paint job by adding sharp contrast to the wall color. Used throughout a room on walls and woodwork, it can give the illusion that the space is bigger than its physical dimensions. For more on paint colors visit the Paint Quality Institute Blog. 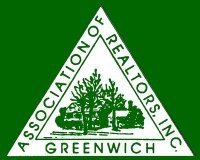 David Popoff is a certified “Green” Realtor in lower Fairfield County, Connecticut. 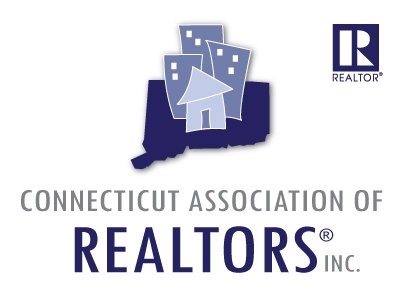 DMK Property Management llc is locally owned company serving lower Fairfield County, Connecticut. Specializing in Residential Property Management that can custom tailor a program to fit the homeowners needs be it short term or long term from rental management to full estate management. 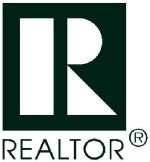 Checklist to Hiring an Experienced Property Manager ~ Darien, Ct. Smaller is Better ~Multi-Purpose Rooms & Micro-Apartments. Green Tip #4, Seal & Insulate Attic Doors. 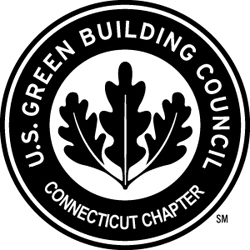 My First AR Post ~ Green LEED Home in New Canaan, Ct.